Menke’s gives you reliable, friendly and honest service. We take the time to explain the repairs and show you the damaged parts. Our state-of-the-art facility services: domestic & foreign cars and trucks, as well as commercial fleets. 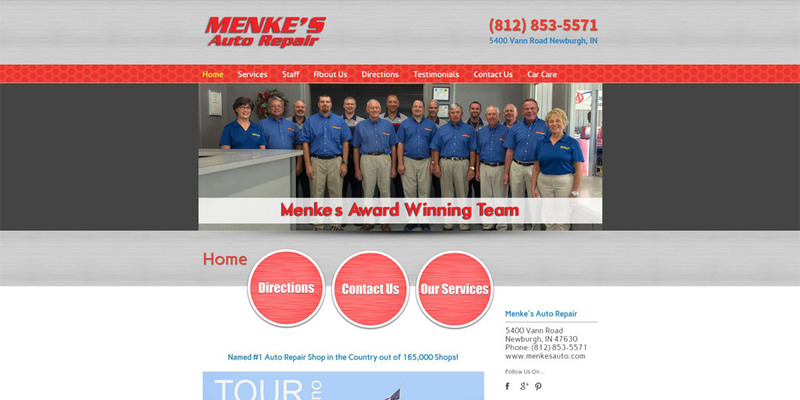 Menke’s has A.S.E Certified Technicians who have over 250 years combined experience. They attend training on the latest diagnostic equipment each quarter, ensuring quality you can trust.